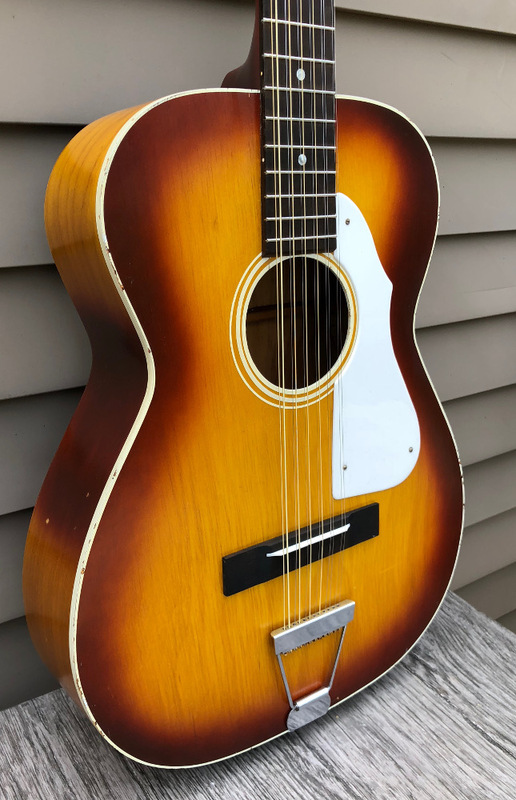 Harmony H912 12-String ca 1966 | SOLD | At the height of the folk boom in the 60s, Harmony produced guitars by the hundreds of thousands. Out of this pack emerged the H912, a twelve-fret, slot head 12-string acoustic, many sporting the 'Stella' brand. These Harmony 12s were among the first 'wave' of 12-strings to reemerge during the 'folk boom' post WWII. 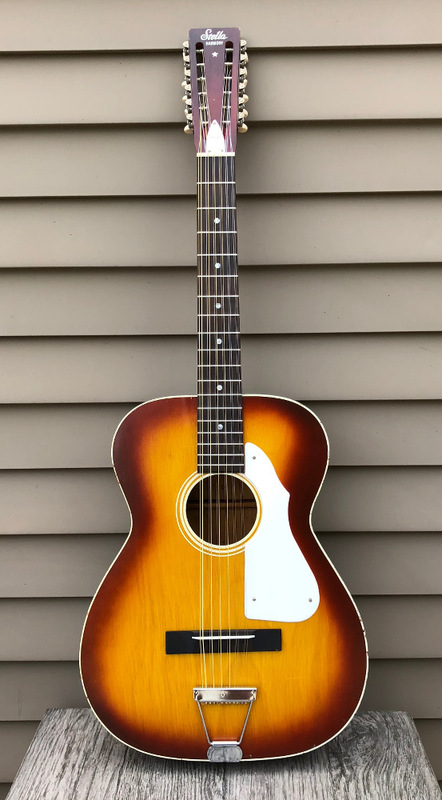 This example from the 60s is a clean example, and set up and ready to play. All components appear original to the guitar, and it's in overall excellent condition. The body is all solid birch, trimmed in white-painted binding, and sporting a striking sunburst. 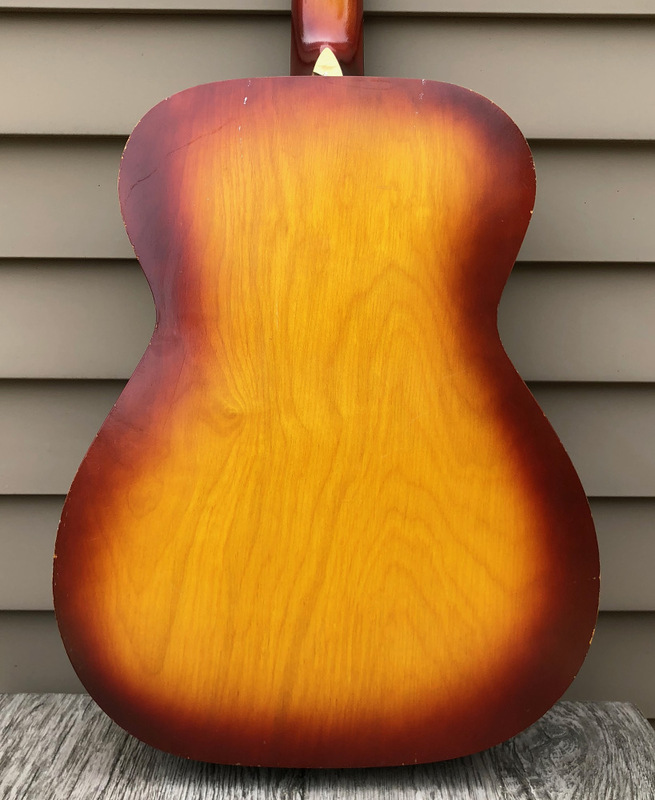 The neck is likely poplar, carved in a fairly flat profile. White pickguard, screwed to top (factory). The body measures 15 1/4" across at the lower bout. Scale length is 25 3/16", and the fingerboard is 2" wide at the nut. 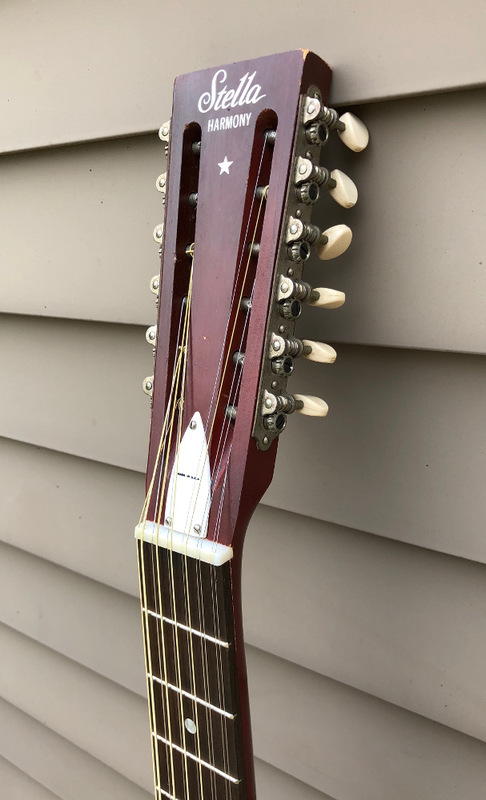 There are no evident past repairs to the guitar. We recently glued a few top cracks at the sound hole. 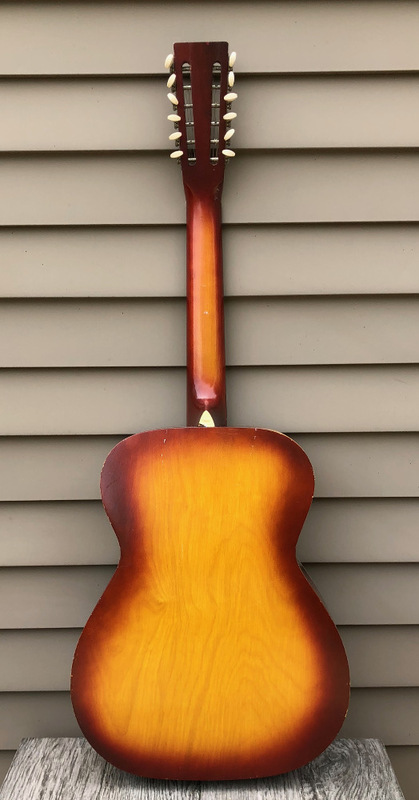 The neck was reset and the fingerboard re-fretted. 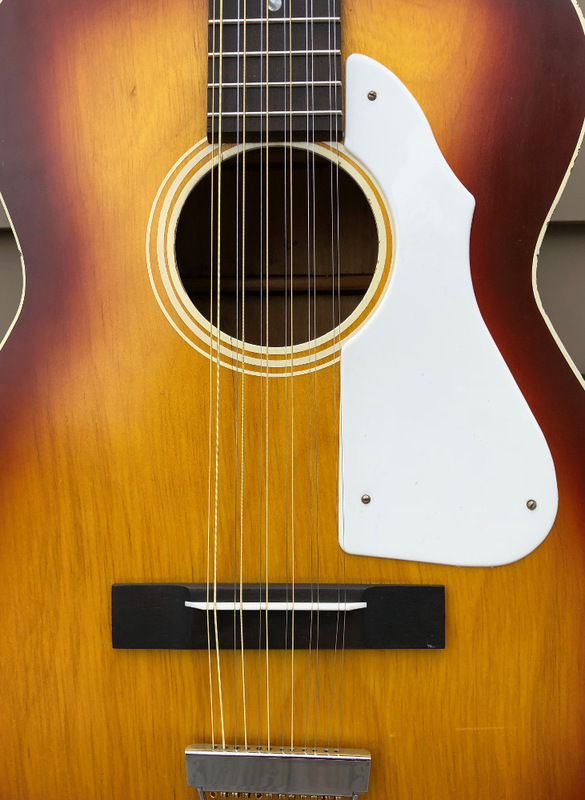 The guitar plays extremely well with a smooth action and produces the bright, jangly sound that the H912 is known for. 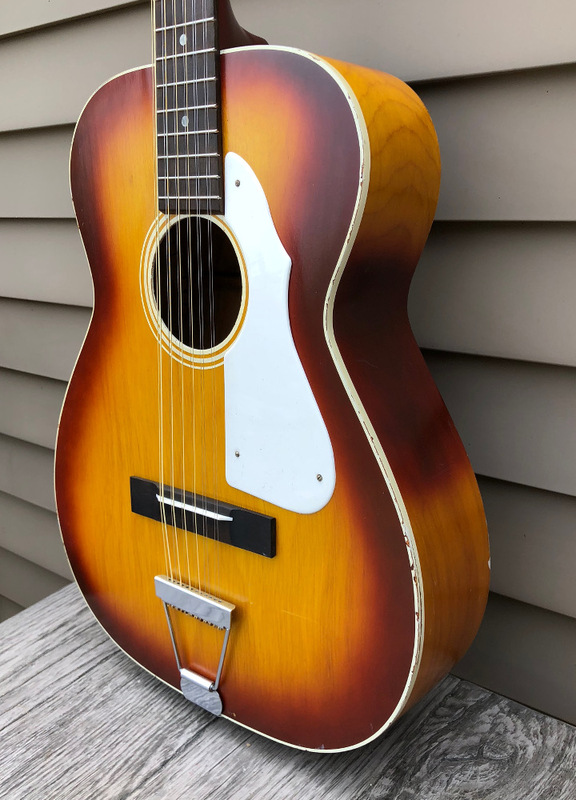 Nice guitar for country blues 12-string or strummed for a 60s Folk vibe. Check out the sound clip!